Since I do lots of weathering with powders these days and not much varnishing (since I don't really play anymore), I thought it would be worth looking at how someone would go about using powders to get killer effects and still make their models "useable" for gaming without having to worry about destroying their hard work. 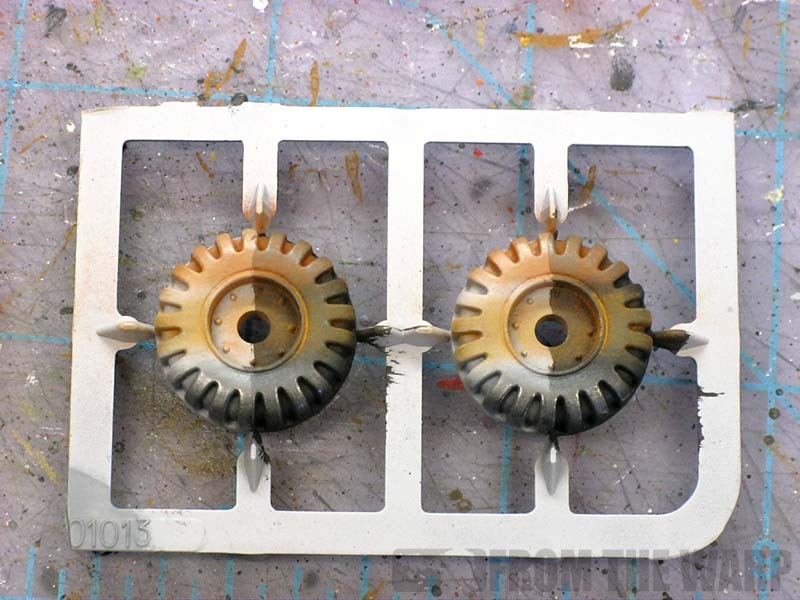 Short version: How do I use powders, varnish them and keep them looking the same? Short answer: Not really possible as far as I know. Let's start by looking at what happens when we varnish over powders and go from there. My test subject was a spare Space Marine bike wheel I had lying around. He seemed to fit the bill perfectly and I had two halves so I could try a couple things out. I painted my wheel two colors, black and light grey. 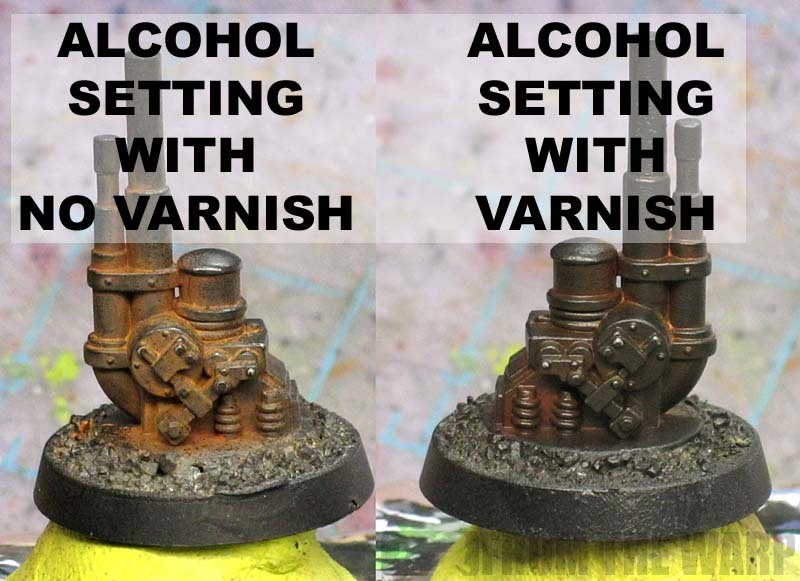 This allowed me to show the effects of varnish over powder on top of a light and dark background for comparison. I used two "sealers" over my powders. Testors Dull Cote and regular alcohol. You may get some variation depending on the brand of varnish you use. The alcohol is something I've heard about using for the longest time, but never tried. It was time to put that one to the test too since I was here. I applied three powders across both wheels. The same three powders on each one in the same place. The powders come from Secret Weapon Miniatures so there is no issue with consistency because I "made my own." I used a red color across the top, a light brown across the middle and a metallic across the bottom. The powders were applied with a stipple type brush in a sweeping manner so I could get it on the surface and into the grooves. See, I told you this was scientific stuff. The picture above shows you what the wheels look like after the powders have been applied and nothing else has been done to them other than to blow off the excess material from the surface. You can see the subtle color changes and how the powder has collected in the recessed areas is it would in "real life" like dust and such would do. This is where we would be when the sickening reality that we needed to varnish our beautiful model hits us. Not only do you have the whole "frosting" issue to deal with, you have to worry about killing the look of your beautifully weathered model... or wheel in my case. We do everything we know of to include a small sacrifice to the dice gods for good measure and we spray varnish our model. A quick, light coat so as to only apply enough to cover the area and not saturate it. We let it dry carefully and pray for the best. The left one is still just powder and the right wheel has been given a quick coat of the Testors spray. If we look closely at the right wheel, we notice a few changes. 1. Our subtle shading is kinda gone. The delicate transitions along the edges of the powders application have disappeared. We are only left with the area our powder was really applied onto the wheel showing now. The most noticeable is the red powder over the light grey areas on both wheels. The left (unvarnished) is feathered where the right (varnished) is no longer feathered. 2. The loose powder that had collected in the recessed areas (around the hubcap) are gone as well. This is noticeable in the middle color over the black base. 3. The metallic reflection is gone as well across the bottom. The "flat finish" of the spray varnish has done it's job well enough to remove that reflective quality. Overall, the varnish takes away a portion of our work. If we were thinking of it in terms of percentage, I'd guess maybe 30 to 40 percent is gone along with the "powder" look. The darker the base color, the more pronounced the disappearance as well. The black portion of the wheel fared much worse than the light grey area. The flip side is that you can safely handle your model without worrying about any of the powder coming off under normal gaming circumstances. You won't have to worry about your handling of the model while playing or any rubbing against foam inside your carrying case doing any damage to your model. But what about the alcohol, what's it for? 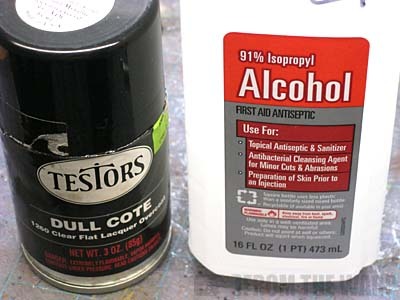 From what I've been able to gather, applying alcohol to your powders does not seal them in place like varnishing does, but helps to "set" them on the model. The difference... varnishing locks them on there and they aren't coming off. Alcohol should help them keep from coming off as easily as if you had nothing over them. Varnish would make your powders water PROOF. Alcohol would make your powders water RESISTANT. Close, but not the same thing in the end. Since I had the left wheel to practice on, I decided to try my hand at applying some alcohol to it. Using a small paintbrush, I dipped it into the alcohol and then let it flow onto the wheel like I would a wash. It flows on quickly and easily. It doesn't take much to cover a large area. It dries very, very fast as well. So what happened with the alcohol? I was pleasantly surprised to see the results. It did not change the look of the powders like the varnish did. There were some slight changes where I applied too much alcohol, but for the most part, the wheel dried in the same condition I started with. The real test came after the alcohol dried. As I suspected, the powders still came off with some rubbing of the fingers, but not nearly as easy as they would have come off if I hadn't done anything to them. This was a big thing for me. Using the alcohol to help "set" your powders in place is something I can get into. It doesn't protect them like varnish will, but it doesn't have the impact that varnish has either. Can you use alcohol to set your powders and then varnish over that? Yes. But the varnish does the same thing to the powders I've found. I tried that as well. The alcohol doesn't seem to protect the powders from the varnish. It still has all the same effects as though the alcohol had not been applied. Alcohol only seems to make it harder to get the powders off. Ultimately, I think it comes down to what you're going to be doing with your models. In my case, it's display with minimal handling. Powders with alcohol setting works for me. 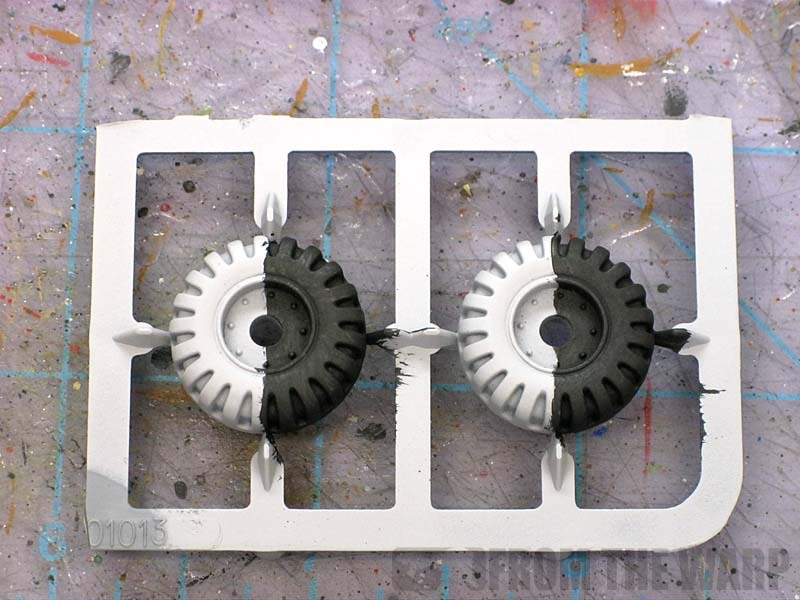 I think if your models will see lots of wear and tear, you might want to look at how and where you apply your powder to your models and then varnish. You know what's going to happen so you just need to plan for it. Besides, even with considerable handling, a little bit of powder around a model's base area near the feet is not going to get rubbed off in casual play/handling. Most of us grab our models by the torso and pinch them anyway. Don't let varnish scare you away from powders. If you know what it does ahead of time, you can plan for it accordingly. Just like everything else on the battlefield. 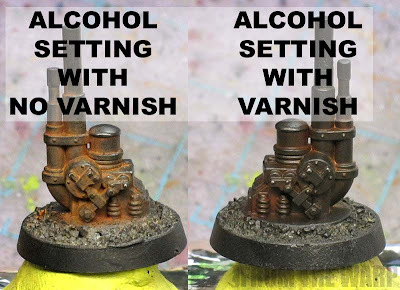 NOTE: After some discussion with "experts" in the weathering powder field (meaning those folks who get the look they want and can keep it after varnishing)... they say it is possible to varnish your model and not lose any of the powder effect. I'm obviously not there yet. The use of hairspray has been mentioned in a few other places recently so I'll be trying that one too in the next week or so. Results to come. Mig production,infact I think it is called AK interactive now sells pigment fixer. 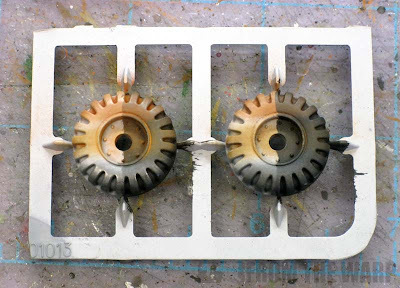 Infact read up on Mig Jimenez's (the creator of MIG)tutorials on weathering and also a new tool in your box the filter!!! But in short alcohol is ok but a mild thinner such as Mona Lisa Thinner is much better. With just the thinner it fixes the powder but you can wet it again move it around whatever. The fixer makes it permenent where it will not even wash off with thinner. Anon: Thanks for the tip. I think I'll head over to their website and see what I can find. Here is the link that started me on my Journey away from using just acrlyic. I've had some success using watered down Vallejo satin varnish applied with an airbrush. It's not 100% perfect, but it's a whole lot better than using varnish from a spray can. For one thing it's a lot easier to apply a light coat, and I also think the finer mist you get from an airbrush helps too. Ron- I recall you mentioning on your blog that someone gave you an airbrush. I apply Model Masters (yeah by Testors) Acrylic Clear Coat - Matt Finish with an airbrush on all the models I game with, and I no longer experience the "frosting" I did with spray-can varnish. Since it is water based, I've had no problems with my airbrush, but I do clean it with windex after each application. If you use your airbrush for nothing else than for coating models, it is well worth it. I can't say with certainty what it does from powders after spraying it. I've done it and they look fine, but I've never taken a before and after shot like you did. Big surprise there! Jason: I do have one, but I suspect I'll need to buy a new one since it's not in very good shape. Bu an airbrush is still a a ways off for me. There's lots I want to do with casting yet. Funny you post this now.. once again our brain waves link up. Sunday night I finished off Madrak and varnished him, powders and all. I lost very little detail. The trick? Airbrush and straight (no thinning) Liquitex Matte Varnish. Just gave it two light coats and things have stayed in place nicely. I experienced the same when I tried out powders, found it frustrating so I changed back to thin glazes and washes for weathering which creates more predictable outcomes. Mate I use MIG powders but that's not the problem. What I do is use a paint thinner on the area I want to do the weathering, once I have done this I then apply the powder whilst the thinner is wet. What this does is kind of act as a glue and slightly turns your powder into paint. Once dry and using a clean brush take the excess off, now with this bit you can be as aggressive as you want depending how much weathering you want. Once completed I then use purity seal spray from GW. All I have found is it darkens it slightly but does not remove it at all, and I get my desired effect. If you check out my Blog and have a look at two Chimera's I have done you will see what I mean. I've had some success varnishing first then sticking the pigment on with thin white glue ot similar. Seems to work OK. I've found mixing a drop of some testors dull coate (from the bottle) with white spirit and putting a drop on the powder area - letting capillary action do the rest - maintains the powder look and makes it more durable too. Bryce (you know, from NoVA) uses the powders AFTER varnishing. He says it works great. Dave G _ Nplusplus: Yet another method I am going to have to try. I just don't know about the airbrush. Once you get into using those, it seems like it really excludes a number of people from the process. There's got to be other ways. Stahly: You don't know how close I am to joining you. I'm not going to quit powders, but finding a good solution is becoming very frustrating. Commissar Dave: You're a bit ahead of me in your application I believe. I am still working with powders dry at this point and haven't moved into the "wet" powder application process yet. It's just the darkening at the end I am trying to resolve. John Lambshead: Now that's interesting. I'd definitely be interested in hearing more about that process if you wanted to email me. CMDante: Now there's something I hadn't thought of as well. Combining things to get the best of both worlds. Although I'd be a little leary with combining certain chemicals not knowing what the result might be inside my house. That might not go over well with the Wife at all and my hobby career would be cut tragically short. Reece: I don't varnish anymore myself. I gave up playing roulette with the spray varnish a while ago once I got burned and had to repaint a dreadnought. @Ron: Hmm, good point... I'll have to test a bit with painting varnish over it lightly... just worries that painting on varnish will destroy the pigments. My main concern is I don't recommend any spray varnish... always ruins the model. The setting agent someone mentioned sounds like a curious idea. I did some hairspray/powder testing recently and I'll have my results come Monday guys. Interesting results I must say. That and if I can find a way to try some of the very good suggestions in this post, I'll do those as well. I've never tried weathering powders before and I wanted to have everything covered before I jump in and I definitely needed a sealing technique. Again thank you, a big help. Kevin: No problem, I wanted to share my exploration of a solution to this with everyone else. Anon: I have (I still have the can of workable fix on my desk) and if memory serves me correct, it too darkens the powder down considerably. I've used a match to seal powders before. Diaord: A what? How in the world does that work? You know what, it probably doesn't matter. My wife is very tolerant of my hobby, but she's going to draw the line there. "What are you doing Dear?" "Why are you taking the lighter upstairs?" "Wait just a minute buddy, stop right there." mig do a pigment fixer, ive used it loads i highly recommend it, only a very light darkings of the powder. Max: I've never used their stuff, but I have heard others who say it's pretty good stuff. Dave: Glad you found it then and I hope it provides some insight.